The U.S. federal definition of invasive species is "…an alien (or non-native) species whose introduction does, or is likely to cause economic or environmental harm or harm to human health". However, the term “invasive species” is often misused. Many people incorrectly think that “non-native” and “invasive” are the same, but they are not. Only a small proportion of non-native species are invasive. This is an important distinction and one that is often misunderstood. In fact, there are many non-native species that are beneficial to ecosystems and human health. Non-native species (or also called “alien” and “non-indigenous”) are “any species, including its seeds, eggs, spores, or other biological material capable of propagating that species, that is not native” to the specific ecosystem where it is found (EO 13112, 1999). Therefore, invasive species are non-native, but not all non-native species are invasive. For example, Pheasants came from western Asia to Europe and then to America. About 33% of U.S. earthworms came over from Europe and 100% of honeybees came over from Europe. These are non-native species but they are not considered invasive. But you can see why confusion persists when you consider the Quaking Aspen. These trees are the first successional species to repopulate forested areas in the American West after a major forest fire and disturbed landscapes. They clone themselves and spread aggressively. But even though they are non-native (and have been called “invasive trees”), they are considered beneficial because their relatively short life span allows them to decompose and put vital nutrients back into the forest floor faster than other trees. The key here is that they do not do environmental or human harm. In fact, they generate a lot of tourism revenue for states that are populated with them. An invasive comb jelly was introduced into the Black Sea in the early 1980s and caused the collapse of the entire Black Sea anchovy fishery. Zebra and quagga mussels are associated with increased occurrence of toxic algal blooms in areas like western Lake Erie, Saginaw Bay, and Green Bay, as well as inland lakes. Asian carp have all but replaced the native fish in areas of the Missouri and Mississippi River systems. Management options for dealing with invasive species are not optimal. With large invasive plant infestations, wetland managers often find themselves having to use herbicides such as RoundUp. The use of glyphosate, the main active ingredient in RoundUp, has exploded since the 1990s and we still know very little about its long-term impacts on the environment or public health. In March, 2015, seventeen experts from eleven countries met at the International Agency for Research on Cancer and determined that glyphosate is a probably carcinogen. The topic is very controversial and is currently being litigated in the courts. Although effective, over-use of glyphosate in the environment could become a serious problem. Less toxic management options such as hand-pulling require a great deal of time and labor – and are not sufficient if the infestation is significant. Biological controls have a mixed success record. According to Messing and Wright (2006), a “substantial number of introduced biocontrol agents do indeed feed on non-target species.” (p. 135) For example, in Hawaii, the small Indian mongoose which was introduced to control rats in sugarcane became a serious predator of native birds. Since that time, stricter regulations have been put into place and generalist species are not typically introduced anymore. However, the strength of non-target and indirect impacts has not been substantially assessed. More research and risk analysis needs to be done. The effects of climate change on invasive species are not well understood – it some instances, climate change may increase dispersion rates or it may create conditions which are intolerable for certain invasive species. Understanding the dynamics about how invasive species are dispersed will be imperative to understanding how invasive species will spread and migrate in response to climate change. Thus, the manner in which invasive species respond to climate change will vary depending on their ecological requirements, their ability to disperse, their current range as well as surrounding land use practices. 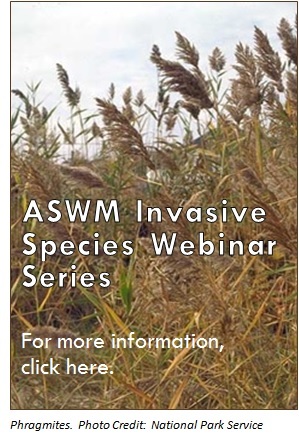 Any invasive species management plan will likely have to involve multiple strategies. The best course of action is to stop the spread of invasive species as soon as they are detected. Waiting to take action can result in an invasion that is not only extremely costly to control - but it may not be reversible. Restoration of soil health and hydrology to a site is an important strategy to prevent the spread of invasive plant species. "Managing Invasive Species in Coastal Wetland Restoration Projects: A Participatory Workshop to Identify Trends, Innovative Approaches and Research Needs"